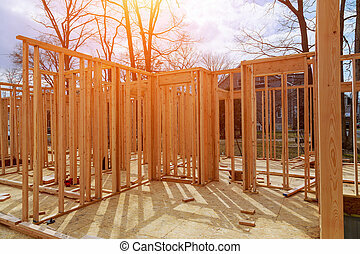 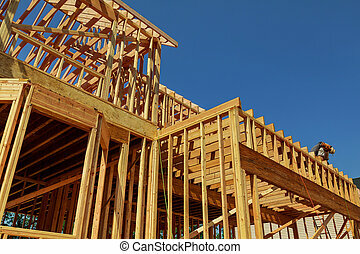 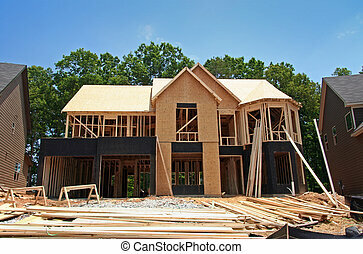 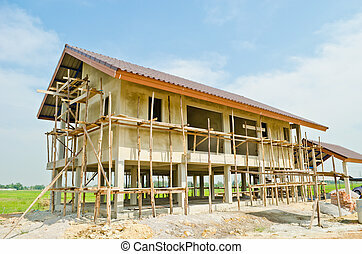 A new stick built home under construction. 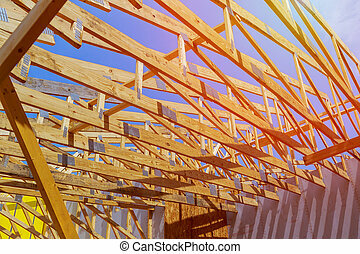 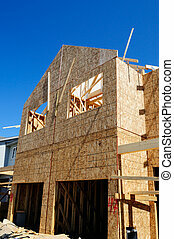 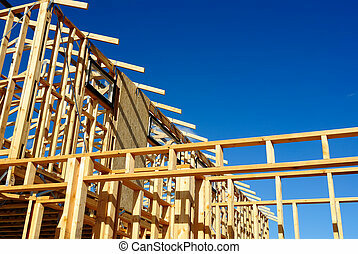 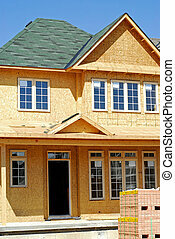 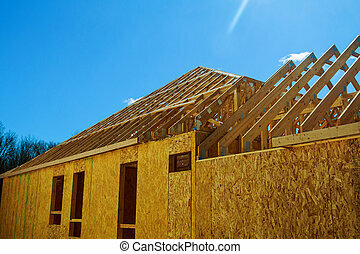 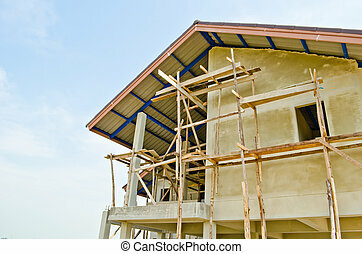 A new wooden frame on a house under construction in a blue sky. 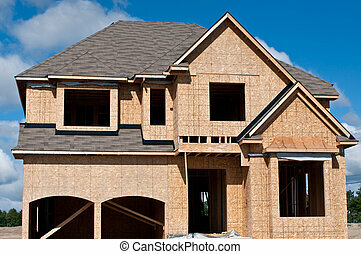 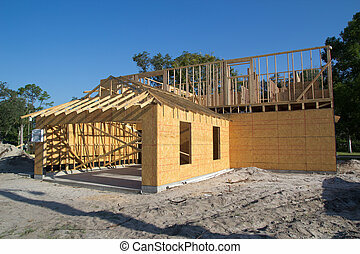 A new home under construction. 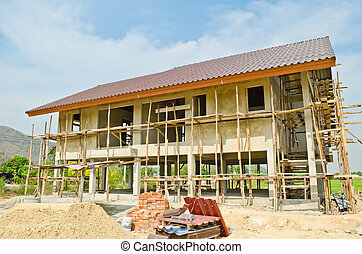 A new home under construction with blue sky and clouds. 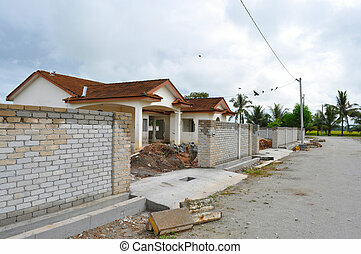 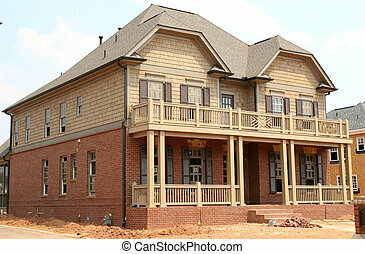 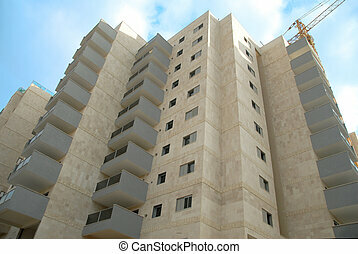 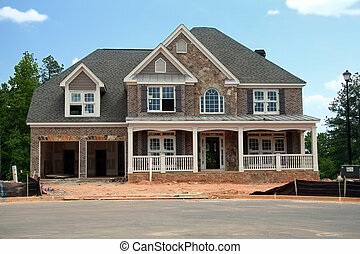 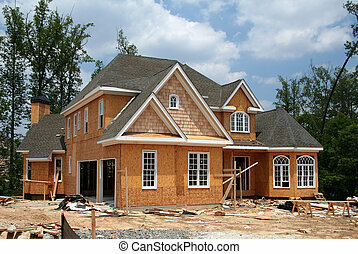 A brand new home under construction waiting for the finishing touches. 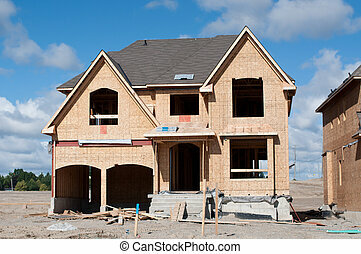 A brand new home still under construction. 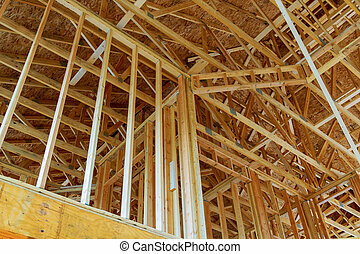 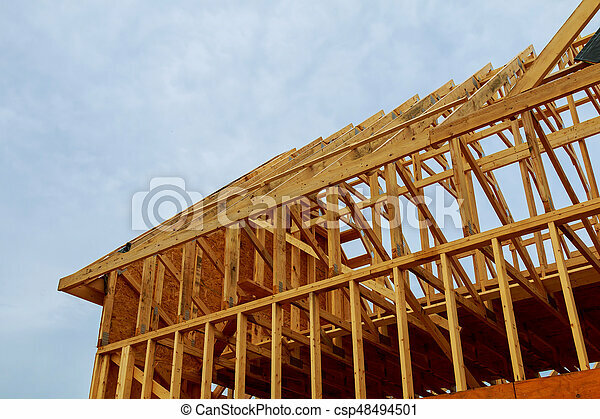 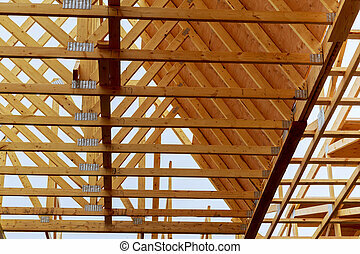 A stick built house under construction New build roof with wooden truss, post and beam framework. 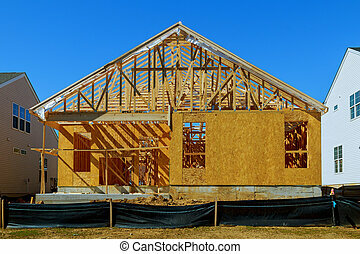 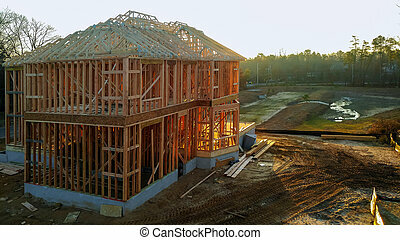 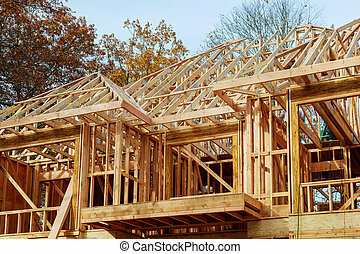 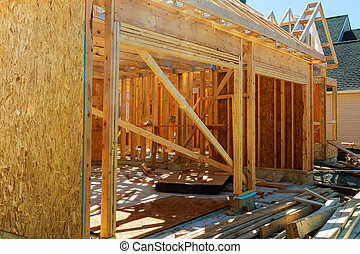 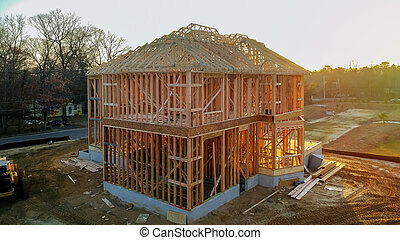 A stick built house under construction New build with wooden truss, post and beam framework. 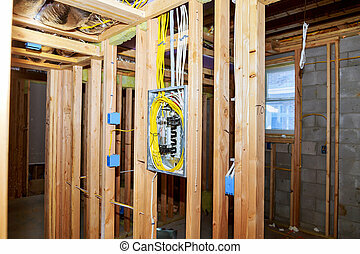 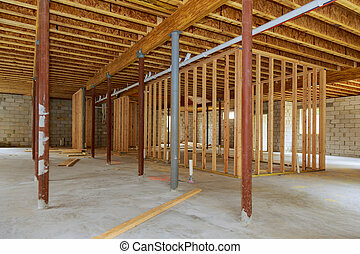 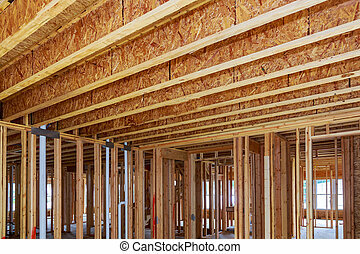 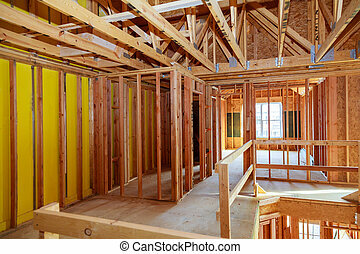 A new home under construction interior stick built and plumbing inside a house frame.